In the space of two days Conor and I went on several walks together. Nothing makes me feel better than going for a good walk, preferably along a trail or hiking in the woods. I love being outdoors in nature and I always have. As an added bonus I like walking even more when I am walking with Conor. We took advantage of the long weekend to get lots of walking in. It may not be as scientifically based as swimming with dolphins or riding horses in Mongolia but it makes me and Conor feel better. We both enjoy walking together. So far this long weekend here in New Brunswick we have gotten out for several trail walks and a bridge walk across the St. John River to downtown and back. Autism therapy? Well .... at least as much as most unproven therapies that stretch therapeutic value into therapy but no, it is just healthy fun with my buddy Conor. Silent Alarm is exactly what the title says. 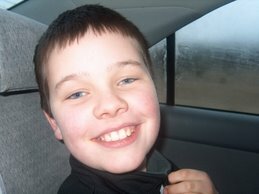 Read it if you want to know the truth about severe autism. 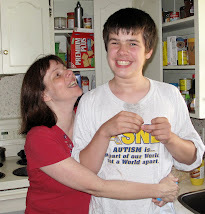 Or read some mainstream media pap about the joy of autism if you don't want to know the truth. Better yet just sit back and wait until the DSM-5 pushes the severely autistic off the spectrum completely and remodels the autism spectrum in the image of those who are anything but severely autistic. The most obvious difference is in paragraph 2 which refers in the introductory line to qualitative impairments in communication. One of the sub-paragraphs which assists in fulfilling that requirement for meeting an Autistic Disorder is "delay in or total lack of the development of spoken language". The narrowing of communication deficits from general communication deficits to social communication deficits is not just a revision, it is a re-definition of autistic disorder. 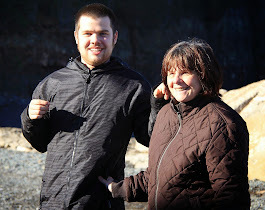 Removing this important characteristic from "autism" constitutes an essential change from Autistic Disorder, at least from the perspective of this father of a son with autistic disorder who has had both delays in language development and a lack of full language development. 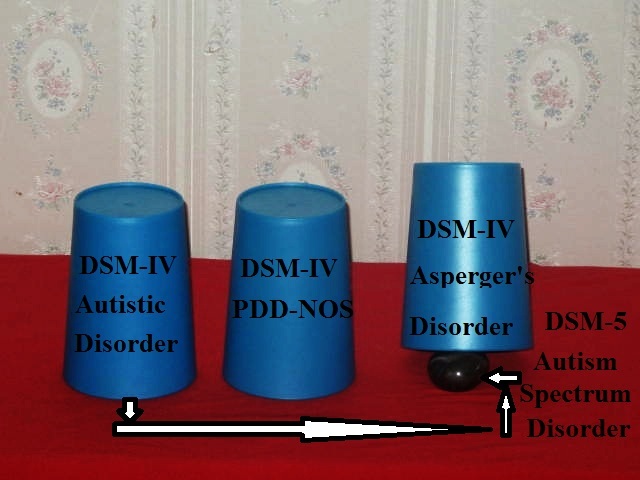 As can be seen in the DSM-IV description of Asperger's Disorder removing any reference to general language delay or development renders the new Autism Spectrum Disorder much more like the DSM-IV description of Asperger's Disorder which states in paragraph D that there is no clinically significant general delay in language. The only reference to language deficit in the new ASD is in the reference to social communication, a specific not general language deficits. Again, I am a humble parent and small town lawyer not an Ivy League educated psychologist or psychiatrist but I have to assume that language and general communication developments are among the most fundamental aspects of any human's development. To remove the general language and communication deficits from Autistic Disorder and substitute social communication deficits appears to me to be a straight forward substitution of Aspergers for Autistic Disorder in defining the New Autism Spectrum Disorder in the DSM-5. Consistent with substitution of Asperger's Disorder for Autistic Disorder is the exclusion of persons from Autism Spectrum Disorder diagnosis where the mandatory social communication and social interaction deficits required under criterion A are "accounted for by general developmental delay". I have commented on this exclusion several times and I see no other reasonable interpretation of the exclusionary language in Criterion A of the new Autism Spectrum Disorder. Criterion A effectively brings to the DSM-5's new Autism Spectrum Disorder criteria D and E of the DSM-IV's Asperger's Disorder description ... no clinically signficant delay in language and no clinically signficant delay in cognitive development. A reasonable interpretation of the DSM-5's new Autism Spectrum Disorder is that it essentially substitutes Asperger's Disorder for Autistic Disorder. 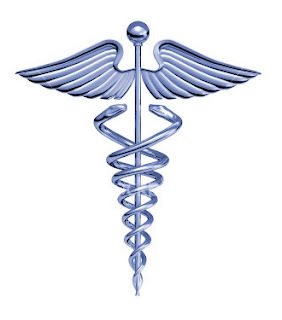 Asperger's Disorder IS the New Autism Spectrum Disorder of the DSM-5. 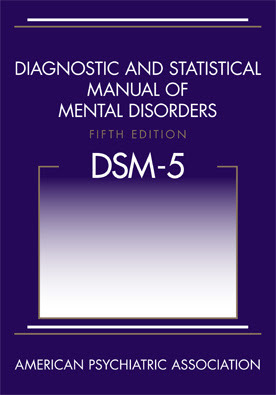 The language of the DSM-5 which purports to show Autism Spectrum Disorder as a revision of the DSM-IV's Autistic Disorder is misleading, whether intentional or not, and it helps conceal under which shell the "autism pellet", in the new DSM-5 is located. 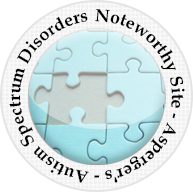 The DSM-5 new Autism Spectrum Disorder is located under the DSM-IV's Asperger's Disorder. The DSM-5's new Autism Spectrum Disorder is no more than a glorified shell game with low functioning, intellectually disabled autistic persons and their families the unwitting victims. 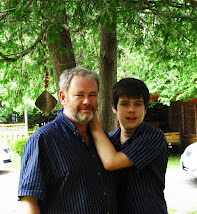 The new Autism Spectrum Disorder would be more accurately described as Asperger's Spectrum Disorder with the many severely affected, low functioning, intellectually disabled autistcs of the DSM-IV excluded..
One thing about which I have no regrets is the time I have spent with my sons and, in the context of autism and this blog, my time with my 15 year old severely autistic son Conor. 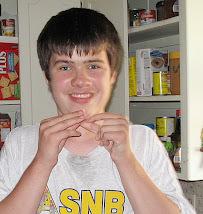 Many years ago I vowed to do whatever I could to make his life as enjoyable as his Autistic Disorder and profound developmental delays would possibly permit. 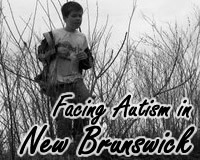 To that end I engaged in autism advocacy in our province where, along with other dedicated parents, substantial success was realized. I have advocated specifically on his behalf to the best of my ability. I have spent much time with my buddy cherishing each moment and conscious of the importance of enjoying my time with him. We have had fun, lots of fun. What I have enjoyed most is walking with Conor. In part because walking is something I have always, always, always done. As a child I was a "wanderer". I loved to just go "exploring" often before anyone else in our very safe military base community was up and awake. I loved to walk the roads of our town and more than anything I loved to walk the trails and woods. 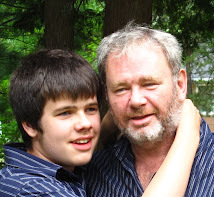 With Conor that has been probably my greatest joy just walking with my buddy along the beautiful trails of our community, along the rivers and in the woods. I have no regrets except that which I can not forestall forever ... the inevitable day when I can no longer walk with Conor and he must walk his own path through whatever wood, into whatever field, his life takes him. I accept it as the reality that looms ever closer without regrets in that I have not squandered the time that I have had, and will not squander the time that remains, to enjoy his presence with us. I do regret that some day my time walking with Conor will end. I will walk with Conor until that day comes when I can not do so, the day when he continues on his own. "All children had normal IQ"
I have written several times on the exclusion of the intellectually disabled from autism diagnoses in the DSM5. Some people whose opinions I genuinely respect, but disagree with on this subject, have indicated that my interpretation of the new Autism Spectrum Disorder wording is incorrect. I am not convinced, much as I would like to be, and I have not been persuaded that my interpreation is incorrect. Another point I have made, which dovetails with this issue, is the exclusion of the intellectually disabled from autism research, a trend which has been going on for some time and is particularly clear in the MRI autism brains scan studies. The Cheung et al study published recently follows this trend: PLoS One. 2011;6(6):e20246. Epub 2011 Jun 8. Autism research, for what appear to be nothing more than reasons of research convenience, has already excluded intellectually disabled subjects. The DSM-5's Autism Spectrum Disorder reflects this trend. The severely affected by autism, the intellectually disabled, will be excluded from the ASD, from services and from our consciousness ... out of sight, out of mind. B. The deficits in general mental abilities impair functioning in comparison to a person’s age and cultural group by limiting and restricting participation and performance in one or more aspects of daily life activities, such as communication, social participation, functioning at school or at work, or personal independence at home or in community settings. With great respect to Dr. King and the DSM5 NDD work group I submit that the proposed Autism Spectrum Disorder wording of the DSM5 along with the Intellectual Developmental Disorder clearly operate to remove those with Intellectual Disability from the autism spectrum. I have no way of assessing the motivation for this change with any certainty. I do not really see the explanation offered by Dr. King as providing a coherent rationale for such a fundamental change. 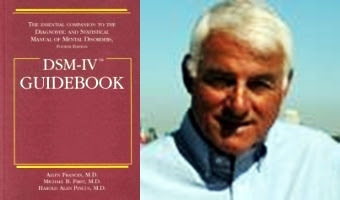 Some critics of the previous DSM-IV changes including Dr. Allen Frances have expressed regrets about the unintended consequences that flowed from that last revision. I can really see no good coming to persons with autism and intellectual disability who will no longer be considered autistic because mandatory criterion A can be accounted for by general developmental delay. 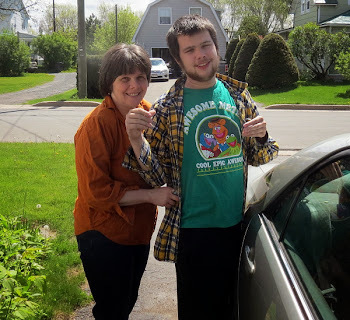 With no intent to insult or engage in confrontation it looks more like the intent is to make life easier for doctors in making autism diagnoses without having to explore the more complicated aspects of a diagnosis when intellectual disability is present. It also makes it easier to calm the fears of those with Asperger's diagnoses who worried about being lumped together with those with autism in the new autism spectrum disorder. 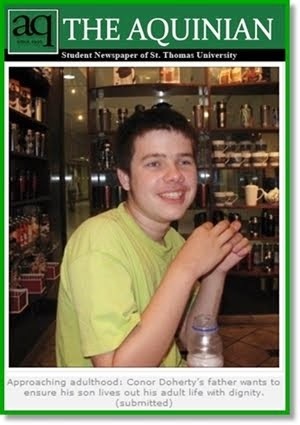 What is not at all clear is how this really helps in any way those with autism and intellectual disability. There may or may not be an "explicit desire to move anyone in to or out of specific diagnostic groups" but the wording is being added intentionally to achieve a specific result and it is clear that the intended result is that social communication deficits be more specific that is .... not part of social communication deficits arising in cases of general developmental delay. The DSM-5's New Autism Spectrum Disorder will add more persons on the high functioning Asperger's end of the spectrum and will reduce the numbers at the lower intellectually disabled end of the spectrum. 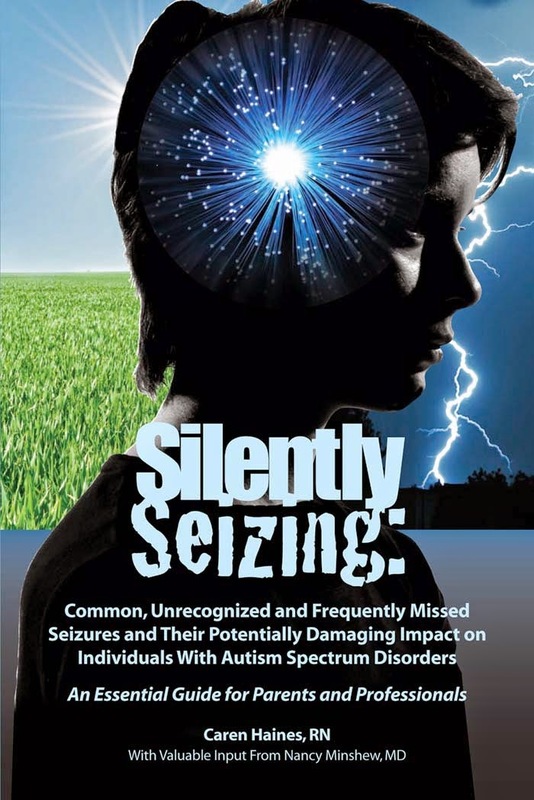 The vast majority of the original autism described by Dr. Marshalyn Yeargin-Allsoop has been given the boot, kicked off the autism spectrum entirely, or nearly entirely. There will be no Intellectually Disabled allowed on the DSM-5's New Autism Spectrum. The recent twins study led by Dr. Joachim Hallmayer and Neil Risch, Ph.D., has grabbed the attention of the world's media and shaken the "autism is genetic" mindset that has dominated autism research for many years. 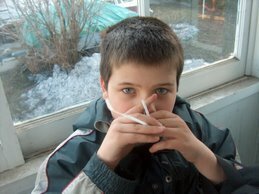 The reaction to the study by the autism is primarily genetic research establishment has been quick and fearful. Within just a few days attempts were underway to diminish the study design and the outcomes of the study. 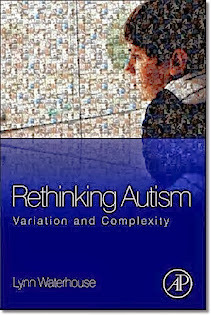 Portraying the study as controversial when it is anything but is the most obvious sign of desperation by the autism is genetic establishment. 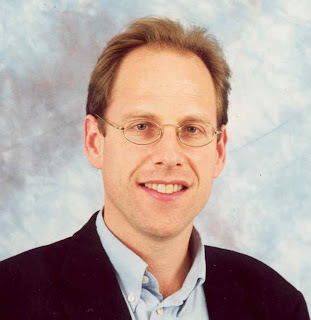 Such efforts should be taken with a huge grain of salt and the words of Dr. Insel remembered: the autism twins study results are "in line with other recent observations supporting both environmental and genetic contributions to ASD, with the environmental factors likely prenatal and the genetic factors highly complex and sometimes not inherited." Labels: autism disorders, Dr. Joachim Hallmayer, Dr. Thomas Insel, environment, environment autism research, Neil Risch Ph.D.
SAN FRANCISCO — A rigorous study of nearly 400 twins has shown that environmental factors have been underestimated, and genetics overestimated, for their roles in autism spectrum disorders. Findings appear in the July 2011 issue of the Archives of General Psychiatry and can be found online at http://archpsyc.ama-assn.org/. “Our work suggests that the role of environmental factors has been underestimated,” said Dr. Joachim Hallmayer, first author of the paper and an associate professor of psychiatry and behavioral sciences at Stanford University. The twin study compared those records with California birth certificates for children born between 1987 and 2004, and identified 2,312 twins in which at least one member was affected with some form of autism. 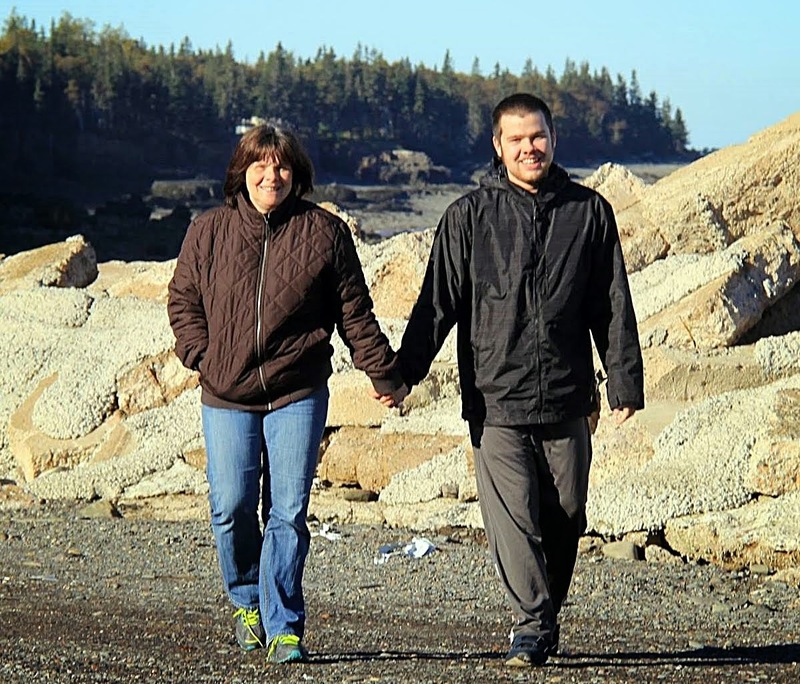 The children were all at least 4 years old, when autism can be reliably diagnosed. Risch and Hallmayer collaborated with autism expert Lisa Croen at Kaiser Permanente and epidemiologist Judith Grether at the California Department of Public Health, which tracks autism statewide through records from the Department of Developmental Services. Hallmayer then worked with UC Davis clinical psychologist Sally Ozonoff and the Southern California-based Autism Genetic Research Exchange to conduct parent interviews and full medical and behavioral evaluations of each child, to systematically assess whether the children had autism spectrum disorder, and if so, at what level of severity. The initial results were staggering: A boy with a fraternal (not identical) twin with autism spectrum disorder had a 31 percent chance of also having the disorder, while a boy with an identical twin with the disorder had a 77 percent chance of sharing it. In girls, the concordance was 50 percent in identical twins and 36 percent for fraternal pairs. Ultimately, the group was winnowed to 192 pairs of twins, of which 54 were identical and 138 fraternal, for statistical analysis. Since autism disproportionately affects boys, only 80 of the pairs included both sexes. Additional co-authors from Stanford include Jennifer Phillips, Dr. Linda Lotspeich, Sue Cleveland and Andrea Torres. Co-authors from Autism Genetic Resource Exchange include Brianne Cohen, Tiffany Torigoe, Angie Fedele, Janet Miller and Clara Lajonchere. 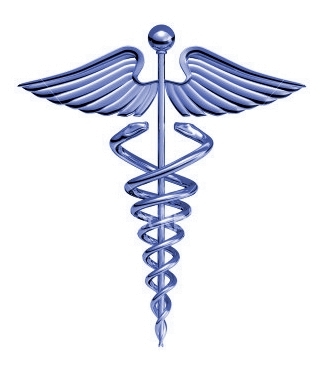 Additional co-authors Jack Collins and Karen Smith are from the California Department of Public Health.